Is Austin Bicycle Theft On The Rise? There were more bike thefts reported in the heart of downtown Austin during the first five months of 2011, compared to 2010, according to city police records I compiled. However, reports are down in the South Congress area. I know this because I decided to do my best Council Member Chris Riley impression — sans silver hair — and work on reducing my car usage in favor of pedal power to commute to the Capitol area. I bought a bike over the weekend, did some research and promptly shelled out another $200 for accessories, aimed mostly at anti-theft. I learned something interesting this week. The anti-panhandling ordinance is only enforceable if the ‘victim’ or another witness requests that the ‘offender’ be cited. Otherwise, the police are not obliged to intervene. I’ve come to a conclusion regarding the perceived safety of downtown Austin: panhandling is a red herring issue. The real issue is the ARCH doesn’t have the capacity to service the thousands of homeless people in Austin. They try, but can’t, and those under served are relegated to the streets of the Entertainment District. These people are easy prey for drug dealers. Over the past six months I’ve seen a surge in drug dealers and gangs staking their turf. Ask any resident that has a view of East 5th street if they’ve recently seen some hooded guy loitering in the middle of a sidewalk for hours on end. What are they doing? The convention center, hotels, retailers, and residents are becoming more vigilant and zero tolerance on Downtown Austin crime is becoming the battle cry. Downtown stakeholders seem to have reached an unofficial consensus that the police must begin to: 1) shift to a beat system of patrol 2) spread out on weekend nights 3) be more effectual in responding to 911. As a participant in many of the Downtown Austin stakeholder groups, I tell you that the Police force is given plenty of slack. Judging by the frustrated voices at recent meetings, I don’t know how much longer that will continue. Day four, becoming a model urban neighborhood: what does Downtown Austin need? Each day this week I am serving up one item, with non-politically correct candor, that Downtown Austin needs to become a model of re-urbanization, as I see it. Politicians love to talk, form task forces, and spend time doing everything except for making decisions as they are needed. So, this is an appeal to Downtown Austin stakeholders that know how to get things done: the residents, developers, retailers, and land owners. This month we’ve read about two measures being discussed to cut down on crime in Downtown Austin: 1) installing cameras, 2) installing lights in front of Caritas. These efforts will not work because they don’t address the real problem. The ARCH, Salvation Army, and Caritas are the hub for Downtown Austin’s increasingly frequent and violent crime. The crime comes from drug dealers praying on the homeless and the mentally ill. Prostitution lives around these places. Drugs are used as a form of payment. According to the police, Forty-two percent of all drug arrests in downtown happen within a block of these buildings. That is an amazing statistic. During a midnight to 3am observation tour for 6ixth Street Austin, myself and a few other Downtown stakeholders stopped and talked with homeless people outside of the ARCH. Some were under the influence of something, but generally not hostile. If anything, they were very chatty and candid about their problems, and the problems surrounding the ARCH. Below are some of the more interesting things we were told. Why on earth did they place the ARCH across from a major liquor store and a block from Austin’s biggest weekend party? 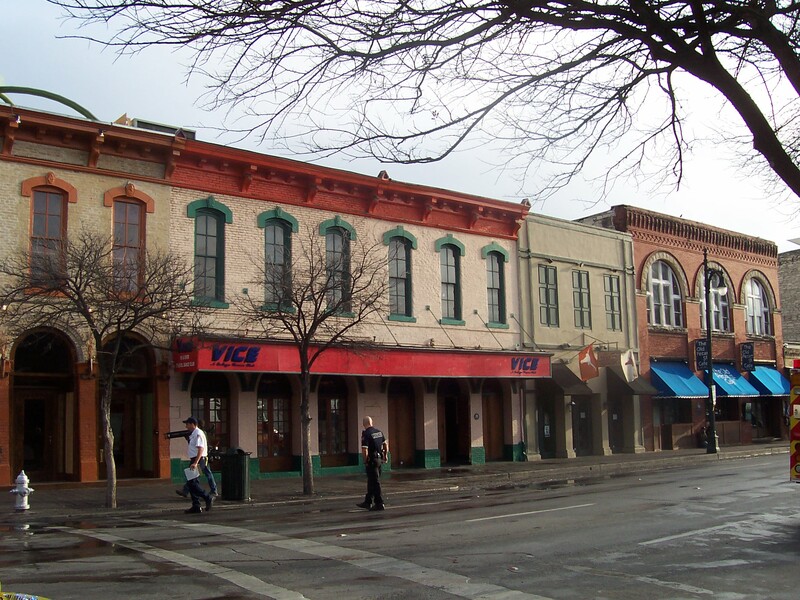 Downtown Austin stakeholders must work with the city to make a politically volatile decision: move the ARCH away from Sixth Street to significantly affect positive change. Capitalism is alive and well in downtown Austin. KVUE is reporting on “parking lot impostors” that pretend to work for the parking company and take your money. I prefer to call these people disenfranchised capitalistic carnival barkers. According to KVUE.com “Parking lot impostors in downtown Austin are costing customers and parking lot owners money. Police say the issue generates more complaints downtown than any other. KVUE’s Jim Bergamo reports.” In addition to being scammed for your cash, you’re likely to be towed, too. This video is not news to anyone that spends time downtown, but it’s nice to see some coverage in the mass media. The guys waiving you into a public parking space are another breed of bum-preneur. You know the guys waving their arms along 5th street offering you a public parking space with the additional bonus of them looking after your car if you could spare some change. Blind Pig looks to have paid the biggest toll in this fire. While there didn’t appear to be much damage to the exterior of Vice, it was clear the fire department had been inside. View from San Jacinto - GOD SAVE THE ALAMO!